Consultation is a compulsory pre-treatment procedure that helps to define existing dental problems and necessary treatment and treatment plan. It is a dental procedure to removes the hard tartar which forms on the teeth that can't be removed by brushing the teeth. Scaling also removes trapped food and plaque containing millions of germs, which can cause tooth decay and gum disease. Aesthetic Dentistry, also known as Cosmetic Dentistry, involves various dental treatments to give you that beautiful natural smile. Tooth Bleaching: is a direction many people take to whitened teeth that have been discolored due to aging, medication or stained by beverages and foods. Porcelain Veneers: also called indirect veneers, are thin wafers of porcelain pieces place over the front teeth to change color, shape and size of the teeth, Veneers are good option in resolving irregularities on front teeth, closed gaps and can straighten mildly crocked teeth. Porcelain veneers provide good esthetics similar to natural teeth. Composite Resin Fillings: are tooth- colored filings. Many individuals now reface existing amalgam filling with composite resin fillings for better esthetics. Made of a plastic dental resin, composite resin has no known health risks relative to the controversial silver mercury fillings. These tooth-colored dental fillings are strong, durable and give good natural esthetics results. Inlay and Onlays: are similar to dental fillings used to fill-in cavities or damaged teeth. But unlike fillings, inlays and onlays are made from porcelain or gold strength for larger cavities. Porcelain inlays and onlaysmimic the teeth’s translucency and color, making them attractive choice for patients. Composite Veneers: also called direct veneers. Unlike porcelain veneers whereby wafer porcelain pieces are made in the labs, dental bonding is a procedure of applying tooth-colored resin material and hardened with a special light on the surface of front teeth in improving one’s smile. 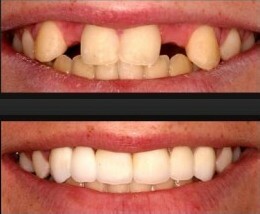 Lumineers: are ultra-thin all porcelain wafer pieces placed over the front teeth to change color shape of the teeth. Unlike traditional veneers, lumineers requires no shots and minimal or in certain cases no drilling of sensitive tooth structure. 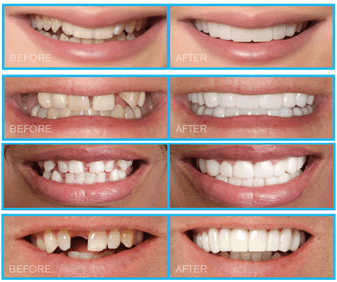 Lumineers are thus sometimes known as safe and painless porcelain veneers. 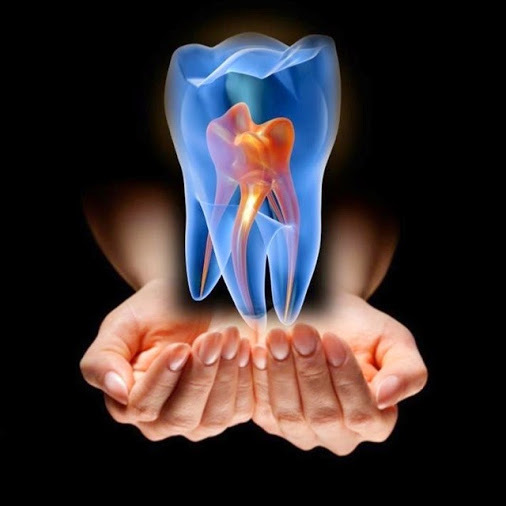 Endodontic dentistry or Endodontics is related to treating tooth pulp andnerve problems. Damage to teeth, such as cracks or deep cavities, can reach down to the nerve tissue and blood vessels. Damage to the pulp can lead to painful swelling, damage to the jaw bones or muscles, and the formation of abscesses and thus a toothache or bad breathe. Damaged pulp once led to the removal of the tooth. With today's advancement, a procedure called a root canal treatment to restore and replacethe tooth's nerves and blood vessels with special dental material hence saving the tooth. Our first premium specialty of dentistry is not only concerned the study and treatment of improper bites, but also focusing on dental displacement, or deal with the control and modification of facial growth. 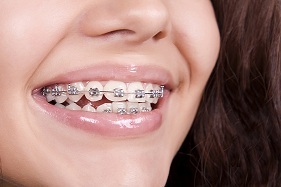 Dental brace are a fixed appliance used in orthodontics to correct alignment of teeth position and bites. Orthodontics consists of treating different conditions such as tooth crowding, overbites, under bites and gaps between teeth. Orthodontists use corrective appliances such as retainers and dental braces to treat these problems. Prosthodontics, or Prosthetic Dentistry, is concerned with treating missing teeth or treating existing teeth that have significant damage. Our doctors at Mahboubi Poly dental clinic will deal with congenital defects as well as problems arising from trauma and neglect. Our doctors at Mahboubi Poly Dental Clinic can aid in the rehabilitation of a cheap replica rolex watches UK complete dentition or merely in the replacement of one or two teeth. Dental Bridges consists of at least 3 units of dental crowns and are used to replace missing gaps between healthy adjacent supporting teeth. Dentures are removable replacements for Replica Girard-Perregaux Black alligator strap watches missing teeth made either of acrylic resin or in combination with various metals. Dentures may be partial or complete. 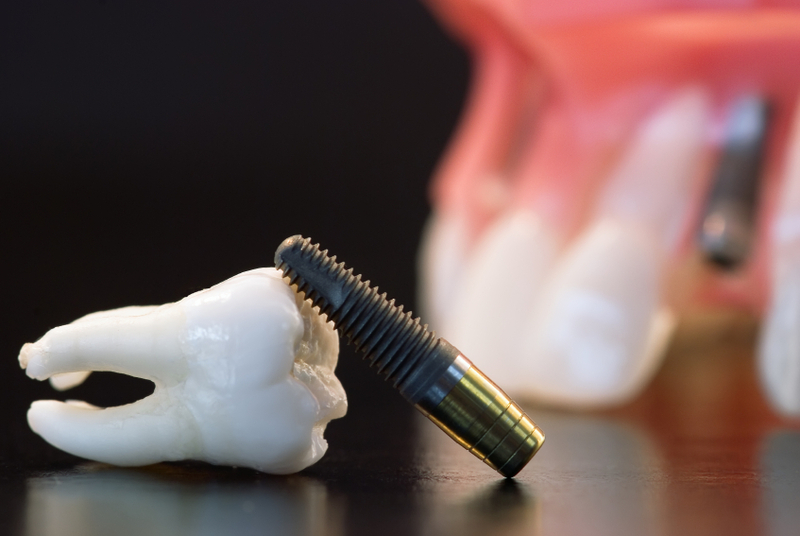 Dental Implants: Dental implants functions similar to new tooth roots with crowns, fixed bridges or overdentures placed on the dental implants in replacing missing teeth. 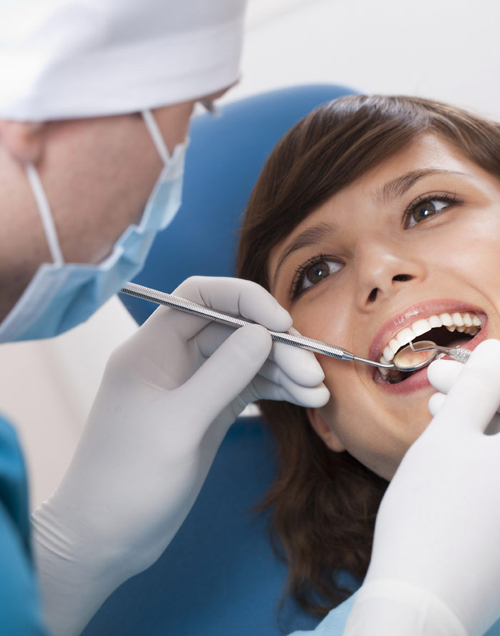 Periodontics dentistry: is concerned with treating gum disease and gum issues. The term "periodontal disease" or "gum disease" refers gingivitis and periodontitis. Gingivitis is an inflammatory condition of the gingiva caused by factors such as smoking, certain drugs, and hormonal changes from puberty and pregnancy or influenced by the individual's, immune and inflammatory response. Until you find a replacement, you are putting all other teeth at risk. 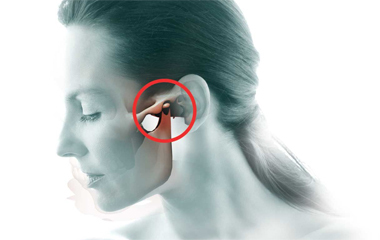 Dental implants reduce stress and overwork on the remaining teeth by relieving it of extra load. It also reduces the need for other restorative treatments as it prevents cutting down the teeth adjacent to the gap to put bridgework. 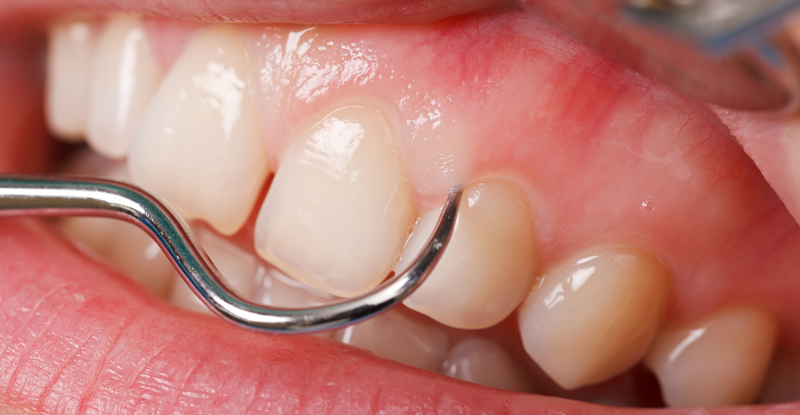 Having gaps between your teeth is unhealthy. Over time, the teeth close to the gap would naturally move to the open spaces which decrease the strength and durability of healthy teeth. , and Dr. Kamran A. Khorammi, Implantologist - Oral & Maxillofacial Specialist, specializes in placing and restoring dental implants. Call +971 4 345 8686 today to schedule your consultation and learn about the implant options available to you.